A woman was pulled from a tractor-trailer after it overturned and rolled down an embankment near the Capital Beltway in Maryland Wednesday morning. 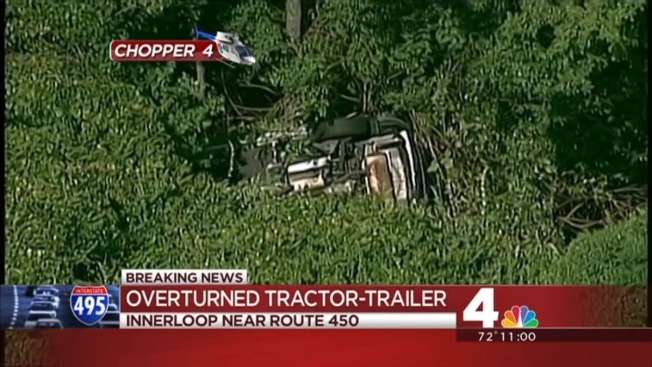 The tractor-trailer crashed into a wooded area after rolling over from a ramp leading from Route 450 to the Beltway's inner loop. The woman became trapped, and was extricated by rescue crews. News4 traffic reporter Melissa Mollet (@first4traffic) reported major traffic backups in the area as of 11 a.m.